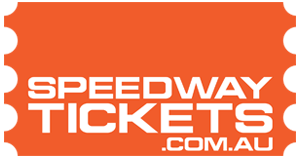 The Wingless Sprints will compete over two nights of competition, while the 360ci Sprintcars will only be seen on the Saturday night. The Friday night will see three rounds of heats for the Wingless Sprints (12 heats overall) along with a Preliminary A-Main. Junior Sedans will also be on the program as the only support category. Night 2 of the double-header will feature a further round of heat races for the V6 Holden powered open wheeled race cars before a C, B and the A-Main will decide the 2019 South Australian Wingless Sprint Champion. The format for the 360ci Sprintcars will see each of the drivers conduct hot laps, Time Trials and two rounds of heats prior to the Top 6 Pole Shuffle and the 30 Lap Ross Wright Memorial Main Event. The field that has been assembled for the State Title would have to be the best list of drivers seen in South Australia since the Australian Title was last in Adelaide with the star-studded field lined with Championship contenders. Dual National Champion and three-time State Champ Joel Chadwick will have a tough weekend defending his State Crown as he is joined by the Current Australian Champion Alex Ross, Victorian Champion Luke Storer, former State Champ Jarman Dalitz and New South Wales hot shoe Jason Bates. Victoria will have several other title contenders, in addition to Ross and Luke Storer, with regular Murray Bridge visitor Daniel Storer, young lady racer Carly Walsh, Luke Weel, Ben Doukas and Steven Hateley all set to take the Title across the border. Four-time Western Australian Champion Tom Payet will also be a driver to watch as he makes a guest appearance in the Matthew Balcombe owned #28. Then you can’t discount the locals who race at MMS week in and week out with drivers such as Matthew Kennedy, Joel Heinrich, Jake Ashworth, Brett Ireland, Anthony Tapley, Brent Fox, Dan Evans, Michael Spoljaric, Darryl Sloan and Brad Evans, who will be keen to keep the SA #1 where it belongs. The Mildura contingent (SA registered) will also be strong with Jay Brown, Jordon Bolitho, Jason Bolitho, Melissa McMillan and Anthony McMillan all making the tow to Murray Bridge. The nomination list for the 360ci Sprintcars as an impressive one with the leading Allstar drivers being joined by some extremely fast locals, several who have removed their regular 410ci powerplants and transplanted the smaller 360ci blocks into their race cars. 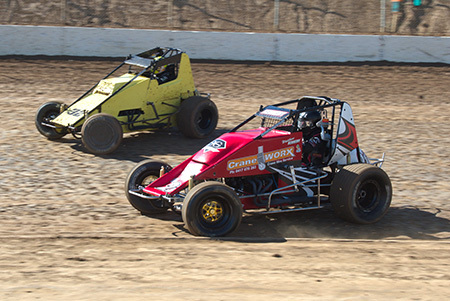 These drivers include four-time National 360ci Champion, and dual Ross Race winner Ryan Jones, Steven Caruso, Ben Morris, Tegan Gates and Victorian Brenten Farrer. For Jones this is a special race as he has a personal connection with the Wright Family, and he would nothing more than to go back to back in this race to honour the Wright Family. Jones hasn’t race a 360ci Sprintcar since November 2016, but he recently returned to the class for a guest appearance at the Sunline Speedway. Steven Caruso is another regular 410ci local racing this weekend and it will be interesting to see how he performs as he returns to the class for the first time in over a decade. Victorian Brenten Farrer, who is a former Allstars Champion, recently wrapped up a solid SRA performance finishing inside the top 10 in the overall series points and he will head to the Bridge knowing he can get it done after capturing a feature race win here two seasons ago. But the regular Allstar competitors can’t be discounted with Series Leader Mark Caruso, Geelong’s Michael Tancredi and Dan Evans, who is fresh from a fourth placed run in the Australian Championship, all having captured round victories this year. Whilst he currently sits second on the points chart Broken Hill’s Brendan Guerin is yet to win a round, but his feature event victory isn’t far away. Then you can throw in Michael Lovegrove, James Wren, Jarman Dalitz, Terry Pitt, Phil Lock and Scott Enderl and there are plenty of legitimate chances in what should be a great 360ci Sprintcar event.